Click the Data Doctor Recovery - Memory Cards desktop icon (or select from the Windows programs list) to activate the product. 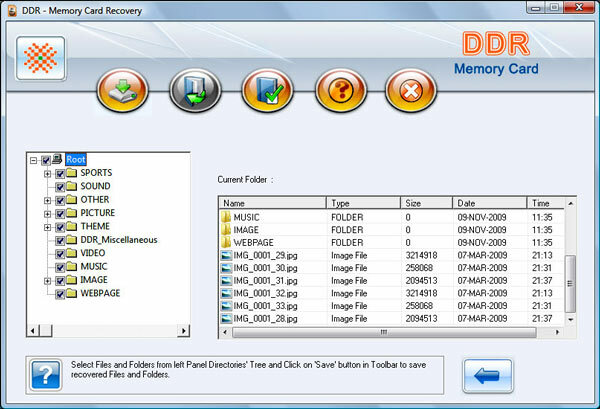 Software scan all Memory Cards attached to your system and the initial screen below is displayed. Any time you want to stop searching Files and Directories then Click on Stop Searching. Or after complete searching, click Next to continue. " Wait for some time " then [This Window] is displayed. If you want to save any Files or Directories then select Files or Directories from panel and click on save button or right click on mouse to save at the desired location as shown in [This Window].. 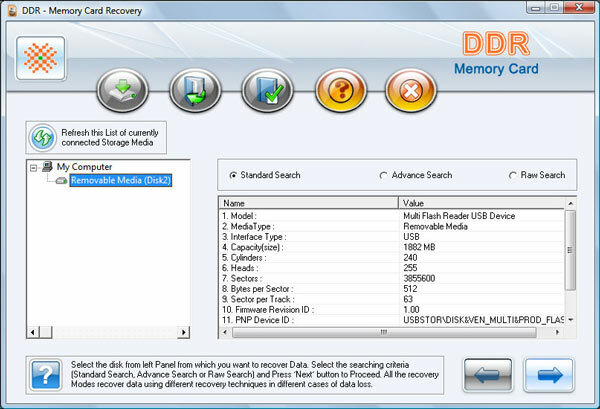 Select the disk and Advanced Search. Click on next button. The window is displayed in [This Screen]. 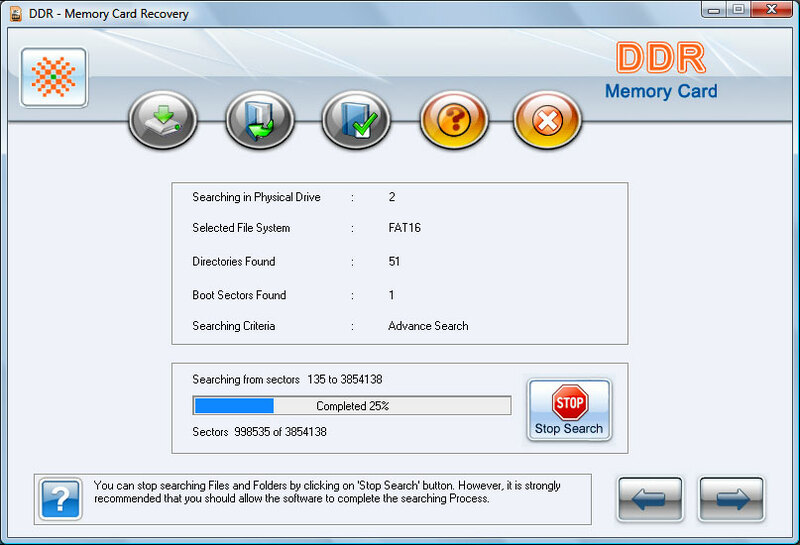 If you want to save any Files or Directories then select Files or Directories from panel and click on save button or by right click on mouse and to the desired location, as shown in [This Screen].